Storage specialist Seagate has some good news to share about its heat assisted magnetic recording (HAMR) technology. The firm says that thought it has been working on this tech since the late 1990s it is now very close to commercialisation. In fact it plans to ship its first HAMR drives to partners this year, with the expectation that a range of HAMR-based products will be generally available by 2020. 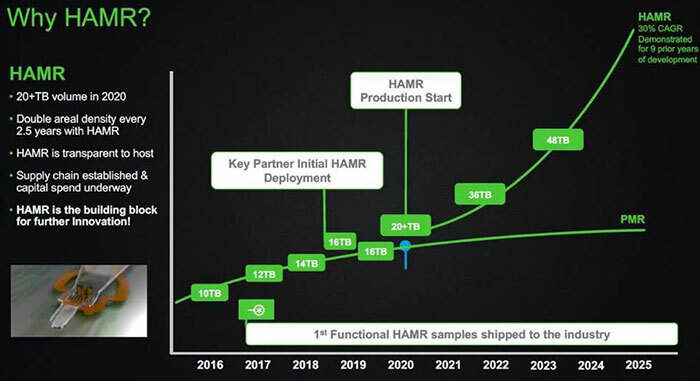 There have been many challenges in making HAMR practical and reliable, and Seagate admits that "many challenges remain," but it is confident of producing a 20TB HAMR drive by the end of this decade. 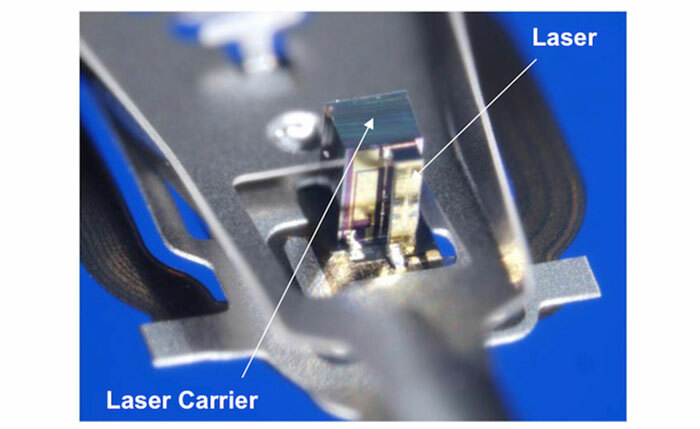 Interestingly Seagate says that in striving to realise HAMR drive technology it has made breakthroughs in making reliable near field transducers, in creating special high capacity HAMR media, "and figuring out a way to put a laser on each and every head that is no larger than a grain of salt". Above is the ASTC technology roadmap. The ASTC is the Advanced Storage Technology Consortium and Seagate has been one of 12 founding members of this consortium since 2010. Every year the ASTC shares a roadmap to provide clear expectations for industry. The roadmap shows that there is still some progress to be made with PMR. Complementary technologies such as helium-filled drives, shingled magnetic recording, and multiple readers have helped extend the capacities available from PMR+. 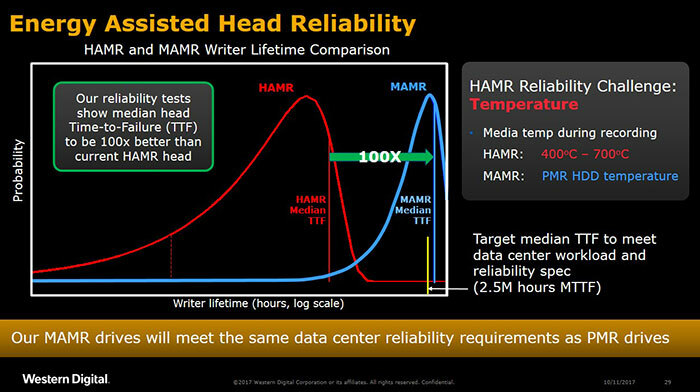 HAMR HDDs will debut towards the end of 2018 / early 2019 (with 16TB+ drives) and helps steepen the incline in areal density over time. 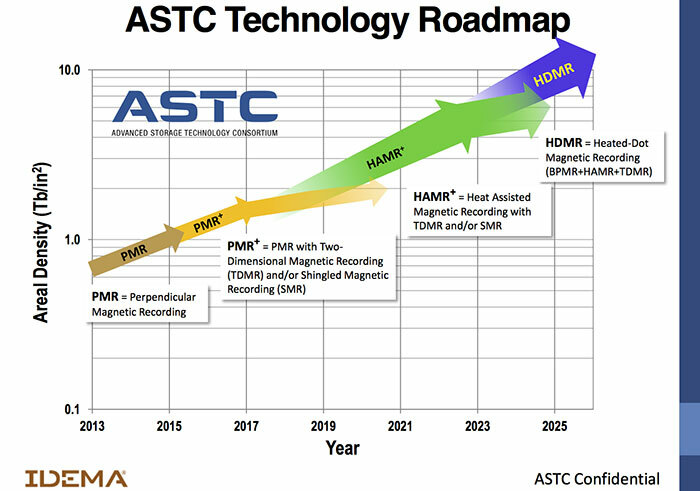 Going further, Seagate and the ASTC expect HAMR to result in HDD capacities approaching 50TB "early next decade" and then combining HAMR with bit-patterned media to build heated dot magnetic recording (HDMR) drives will enable us to reach the 100TB HDD milestone. While Seagate works to realise the potential it sees in HAMR, Western Digital has stuck its flagpole in an alternative energy-assisted recording tech. MAMR, or Microwave assisted magnetic recording claims a number of advantages, mostly related to that all-important storage metric - reliability. WD expects its first commercial MAMR drives to be released some time in 2019. That's great and all, but unless there's a massive leap in drive performance, rebuilding RAID arrays is going to take an age. I can see everyone having to run at least RAID-6, probably even higher to protect against double disk failures during a resilver. You're missing out on the ginormous E-Peen potential. Imagine 100TB of pure E-Peen. Terrifying. What about solid state, capacity growing all the time and prices coming, down, just needs the big players to grow a pair, increase production capacity, storage capacity and drop the price to kill off spinners ! How achievable that would actually be at that time due to cost would obviously remain to be seen, as would figuring out what to store on them - other than having it for e-peen or “just in case I need it even though I probably won't” purposes obviously. It took my PC 21 hours to consolidate 120GB of free space on a 2TB hard drive over the weekend. I dread to think how long optimisation/maintenance tasks would take on a 100TB drive.